(NaturalNews) Memory loss and other cognitive conditions are issues that a large number of people start to worry about as they age. A lot of us are conditioned by the media to believe that these problems are natural and inevitable consequences of aging, something that happens to us regardless of how well we look after ourselves. Of course, this is not true. Our brains are capable of creating new brain cells at any given age, and diet plays an essential role in how often, and how effectively, they can do so. Although most natural wholefoods contain properties that can help keep our minds in good shape, studies show that the three herbs listed below are particularly effective in this regard. Bacopa monnieri, or brahmi, is a thick-leafed herb native to the wetlands of East and Southeast Asia, and is well-known for its brain-boosting properties. It is particularly venerated in Ayurvedic medicine, where it is regularly prescribed for numerous cognitive conditions such as brain fog, poor memory and concentration, and even depression. Like most brain-boosting foods, Bacopa monnieri can take a while to work. Taking 150 milligrams of it three times a day for a two-month period, for instance, will provide better results than taking the same amount of it over a one-month period. 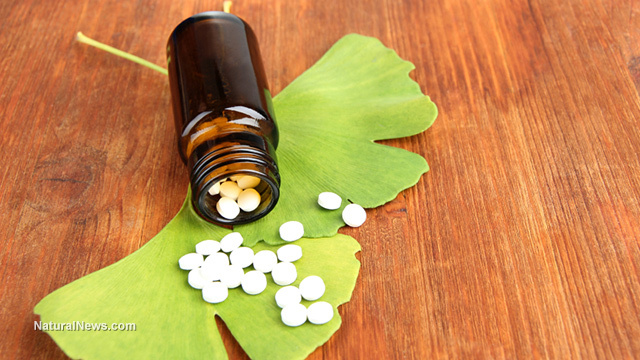 Taking between 240 and 600 milligrams of Ginkgo biloba up to three times a day is optimum for correcting memory-related issues. As with Bacopa, positive effects don't usually manifest immediately; give it at least a month. Gotu kola (Centella asiatica) is a member of the parsley family that grows in the Himalayas. It was (and still is) used to treat countless medical conditions in India and China, including varicose veins, skin lesions, insomnia and blood circulation. However, like Bacopa and Ginkgo, gotu is best-known for its positive impact on our minds. Taking one or two 500 milligram capsules of gotu kola a day is a great way to boost our memory naturally and without side effects. Alternatively, gotu can be consumed in tea form. Its bitterness can be masked by adding some honey or lemon.